Oh.............. this is a good one! Thanks to American Crafts for donating their Abode Collection to one lucky winner. Just leave a comment here and let me know what's going on in your abode today. Winner will be drawn in an hour or so. we just got up from naps and will be going out for dinner at Cafe Adobe tonight. Hooray for grandparents for the kiddo. I lost my voice and I am trying to get my girls to stop fighting so they can get to a birthday party. Fun huh? I am having so much fun today! You ladies are a blast! I panted a garden this morning and once kids are having naps I can go hard in the scrapbooking department!!! Oh just look at those goodies. My fingers are crossed. Catching up on the episodes of 24 that we have missed. I'm scrapping, of course. My kiddos are working on projects. My daugther and I will also be working on graduation announcements. Hubby is in the garage! Love the colors. Taking it easy today in advance of a gala for a new hospital. In my abode, I'm scrappin' away and waiting on my husband to get home from work! I worked today and I've just finished so I'm watching some tv from the masses of recordings I have to watch! Hanging around the house today... reading blogs and cleaning! We just got home from a great social with my daughter's nursery school friends and parents. We see each other once in six months so it was a day filled with laughter and memory making. Wow how generous. Thanks for the chnave to win. We are playing at the playground today as we spent the first part of the week dealing with a nasty spring snowstorm. I think spring is finally here! Love that line! Here we're getting outside to fix up the garden & start transplanting our starts. Then off to the last soccer game of the season and a party. i've been doing a little scrapping with the help of my six year old son, it all looks very creative...ummm!! Just had family night (movie + pizza!) and now I'm finishing the sketch + 5 product challenge! Nothing gone to plan but hope everyone else did. Spring Cleaning! + Arranging Scrap Supplies = More Time + Space to Scrapbook! 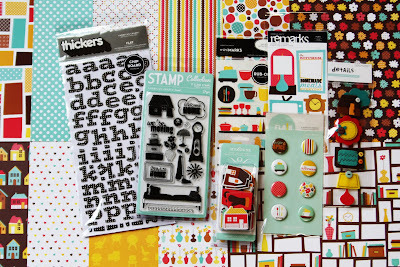 its National Scrapbook Day, so I am scrappin'!! What a lovely first day of May! We're playing some worship songs on the guitar with the fam. So much fun to be together! DH is outside with the kids so I can scrap the day away! i am currently scrapping among the nappers in my house. but we cleaned/ran errands this morning. so now i have a free afternoon! yay! Uh..hanging on this blog:)!! DH is painting a table we are giving my newly married sister, the girls are playing with some fun new markers and baby is sleeping. And I need to finish a blanket I started for him last night...so I can start scrapping! Cleaning the house and getting ready for friends over tonight! Pizza, drinks, and kids. Love all around in our Abode! Love it!! I just got back from the scrapbook store. Getting ready to do some scrap booking. It's a rainy May Day here in Bothell, so we're enjoying a cozy day inside. Hubby & pooch are napping and I'm organizing some of my scrapbook goodies. We are celebrating our 12th anniversary in our house tonight. multi-tasking, scrappin, posting, tweeting, facebooking and watching Sherlock Holmes with Robert Downey Jr!! Happy NSD!! Two of my favorite things today: Scrapbooking & Soccer. I am scrapping, hubby's at work, cat, dog, and son napping. Peace and quiet! Thanks for the chance! Just got Zoe a desk and the DH and her are putting it together while I get some scrappiness done! Amazing giveaway!! I had a mother's tea this morning with my favorite preschooler and now it is nap time!! oh! Loving the looks of that kit! Right now, the baby is napping, hubby is playing video games, and I'm playing on SC! What else is there to do?! Everyone's napping and I'm busy scrapping! What's going on in my abode today? Scrapping of course!! Scrappin' is what's going on int abode!!! Then we are headed to a dear friends for some crawfish!!!!! I'm making some Mother's Day cards and my husband is studying for finals/ the bar exam. We are relaxing watching the phillies game and kentucky derby. I love hat watching ! Hubby poured a concrete foundation for our front walkway! And I am trying to get chores done so I can join in on the fun challenges! just hangin out.. me, myself and I... my friends were busy today, so i am scrappin alone. And we just had the most wonderful tapas for dinner! ballet, playing outside, laundry, dishes, and I"m thinking some ice cream later (or Rita's if I want to drive) because it went from spring to summer in 24 hours! I`m scrapping of course and here today is labor day. I would love to get this set!!! Soccer, soccer, soccer! No scrapping for me today...well, maybe tonight! Hangin' out in the AC as it's about 90 in teh shade today! We are in NC for my husband;s family reunion today. We haven't seen some of his family in years!! !Thanks for this opp! My husband and son are outside planting flowers for me. I'm inside enjoying the quiet getting to scrapbook!! It's Mother's Day a week early!! I just put my little one down for a nap, which is why I'm able to log into my computer and finally see what's going on today for NSD! LOVE this give away. I mean really LOOOOOOOVVVVVVEEEEEE it! We have been unsuccessfully trying to put together a swing set! Hanging by the pool, playing with new kittens, taking lots of pictures, marinating steaks for later! That's just a little happening on our homefront! Garage sale-ing, taking animals to get their booster shots and now, lunch! Just got back from a lunch date with my little boy.. now that his tummy is content, time for mommy to get some scrapbooking done. Celebrating my brother's bday with a cookout, blog hopping, and scrapping! Prom night for my youngest daughter... hairstyles, formals, guys in tuxes... pictures, of course! We have family in town and we are boiling some crawfish! Expecting friends any minute. Hope I'm not too late because this is awesome! I am doing some scrappy stuff today. Just putting my feet up and enjoying some TV after a day in work! yard work. yard work. yard work. hoping to actually get to some scrappin' later tonight. I LOVE this line. Today in my abode I am scrapping while hubby and kids clean out the garage! Good times for all. ha ha. Well let's see ... I'm TRYING to scrap, the baby is NOT napping (and ruining my scrapping intentions in the process), the older girls are playing "store" and my DH is off golfing! At least the sun is shining and my Mom is stopping by in a bit to relieve the "boredom". LOL! Just finished up with a garage sale and thought I would pop in. Thanks for a chance to win. I had to take pictures for a friend this morning and now I'm home and ready to scrapbook while I listen to the kiddo's and husband play! Life is good! In our house right now -- the hubby is replacing a ceiling fan, the son is playing a game, the daughter is playing dolls and I am ready to scrap! at our house- it's my daughters 7the bday so we are getting ready for the party and BBQ!!! amazing!! We're preparing for a dinner party in our "abode"
Hope ya'll are all having a great day!!!! My husband has unexpectedly been ill this week so we've spent today together, walking, talking and just generally soaking each other up. Our abode is hopping with neighbourhood kids....we live next to the playground and our yard seems to be adjoined!!! LOL ....and I am hoping to scrap later!!! lots of scrapping, message board reading, and blog surfing! Have a great NSD! scrapping all day here! One of my personal HOLIDAYS - thanks to my husband for watching the kids!!! Lots of blog hopping for me, hubby is at work, daughter is watching t.v and son is working. I am making Mother's Day cards & my best friend's birthday card! Storing all our books in our new shelves ! Had to work morning shift. 2 yr old up from nap, 5 yr old watching a Blues clues on VHS (old SKOOL!) and he is taping the audio on his Dad's old dictaphone (tape player). Headed to relatives tonight for my uncle's 60th! i would prefer to scrap!!! Right now, my fience is making us some soup. We've been having quite the lazy day; had a few naps! 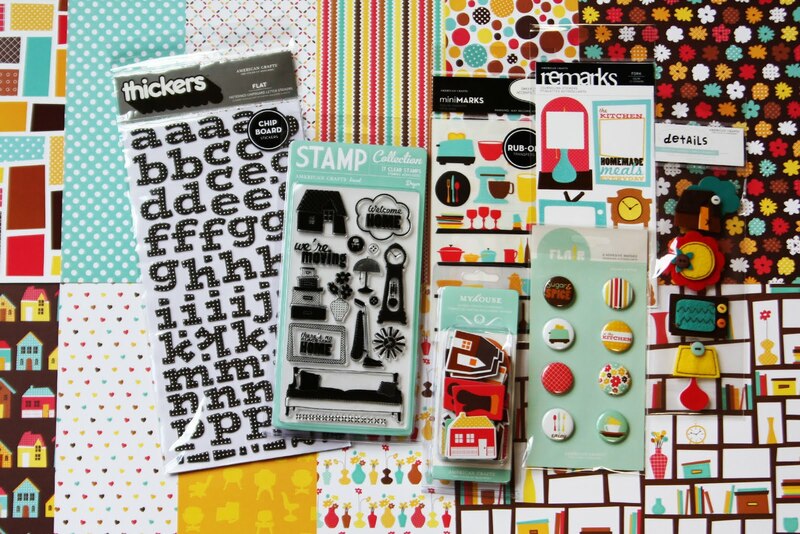 Scrapbooking's on the horizon. Chores, celebrating a birthday, and a little scrapping :). I love Abode! We went to an author's reading at the library and a really fun book-themed birthday party. Now I'm off to our Western-themed school auction and dinner. We took a trip to the park and then went for some great Mexican food. Now it's nap time for the kiddos while Mama tries to get some scrappin' time in! And now I´ll go to bed. The big kids are outside, little man is taking a nap, hubby is out for a run, me, trying to get a page done, the first of the day! Visiting with Grammy...Love that line! Lots of tv viewing, and scrappiness... glitter makes such a mess, but soo worth it. If time permits, there's a Container Store opening to attend. Happy day! My hubby, my dog and myself all fell asleep! The dog and the husband - still asleep! Thank you for the chance to win! i loves the abode stuff! Such great colours!! Kinda wish I was scrappin, but it is my oldest son's first Prom and we are hurrying and scurrying because we are hosting pre-Prom dinner. Nothing but reading for final exams. Both my bf and I are just weeks away from finishing our bachelor and master degrees. Some cooking and cleaning, hopefully some scrapping. I want to do the challenges. Hanging out with my hubby and getting ready to scrap! Just a lazy Saturday here. Tried to find someone to come and play, but everyone already had plans for the day. Just checking out blogs! Thanks for the chance to win!!!! I ran a half marathon today and I am just perusing the SC message board and partaking in the NSD fun. Today I am scrapping and checking out all the NSD goodness! I live in Spain, and here are 23.00 right now, so my day it's just to finish. I'm going to finish some studying and then I'll go to bed and read a little before sleeping. Had a little girl over to scrap - she's only nine but made a lovely card with a flower made of little cookie-cups (that I don't know the real name of...). Check it out on my blog! My abode is all about the hockey playoffs today, in between two games right now. Not much! trying to ignore nasty allergies and scrap ....now off to make dinner...very quiet since the teen is away and my son is tired from baseball this morning! getting ready to go to work while the hubs does homework. All the while, daydreaming about our future adobe that we are in the process of buying. busy day today...cleaning house & out to my parents farm for the day. wish i could have scrapbooked for NSD, but no go for today. Thanks for a wonderful giveaway!!! I've been scrapping away all day long in celebration. Just finished up some cards for teacher appreciation week for my 2 favorite girls! My hubby is spending his day relaxing, playing video games online with our nephews. Scrapping of course! Nice prize! We're enjoying some amazing weather here in Northern Cal today. About to get ready for a game of tball! Hope it's not too late! I just got back from a Brownies sleepover at a museum, for my daughter, and then we immediately drove 1 1/2 hours to get to my son's soccer game. Got showered and hope to rest before our block party tonight (it's a crawfish boil, for you Southern folk!). And prob'ly all I can manage for scrapping today is reading blogs. Still- hope I'm the lucky one! Thanks for the chance. Grandparents visiting and watching the prep for a muddy derby. Nothing much going on here. Scrapping, reading and dreaming of strawberry slushes. Enough dreaming....I'm off to sonic. Finishing up my homemade paper flower bouquets for Mother's Day gifts. Spring cleaning the loft, why do we hoard so much stuff!!! Scrapbooking pages of my Papa's Marine Corp career. I am utterly grateful he took photos but my goodness there are a lot of them. I am a little overwhelmed, but I know I will make it through. We just got up from naps. Today we are just hanging out after a late night last night. I love this collection! I can see it as a mini album. Oh this is awesome! We are just hanging out at home today enjoying a rainy day. We went to pug play at the dog park, then to a opening of Griots Garage, now we are home with nothing to do for the rest of the day. I am trying to scrap with a major head cold, but I am determined to do it. Just completed a LO using the challenges- off to post! That is a good one! We are doing yard work. It's about 85 in NY so loving the day. we're off to babies r' us store to pick up items from BabyLove's registry still. Just getting ready for lunch and ordering some pictures. we just had some friends over for brunch. hosting some NSD stuff on our LSS website. i'm about to have a nap since we had a very late night. tonight we're taking it easy and prepping for the big bbq we're hosting tomorrow for my volleyball team. Just getting started on scrapping and it is 10pm already!! Where did today go!! determined to do some!! Just got home from a little shopping and now hopin' to do a little scrappin'! Just woke up from a nap and now on my way to my sons baseball game. Nice relaxing day. basically, just hanging out online all day ! Not a whole lot really. The highlight of my day was making a risotto for dinner this evening! I had all kinds of scrappy plans for today, but ended up having to catch up on the whole night of sleep i missed on thursday night!! oh I hope Im not too late! Im just internetting all day! I am working on some challenges today between cleaning the house & doing laundry. I'm trying to get some scrapping done today. Love those colors! Love those bold, bright colors! We are not much in our abode today...fun run, baseball and soccer. We might sit down to relax tonight! I am working on a scrapbook for my grandparents! I can't wait to give it to them next weekend! I am organizing my scrap space-- I need to clean up my mess so I can scrap this weekend! I love the new American Crafts!